Emotional Intelligence is a way of understanding emotions, both yours and others, which can have an impact on leadership and relationships. It’s a significant factor in how you handle yourself in your personal and professional life and how you deal with others around you, be it at the workplace or at home or at a variety of social events. 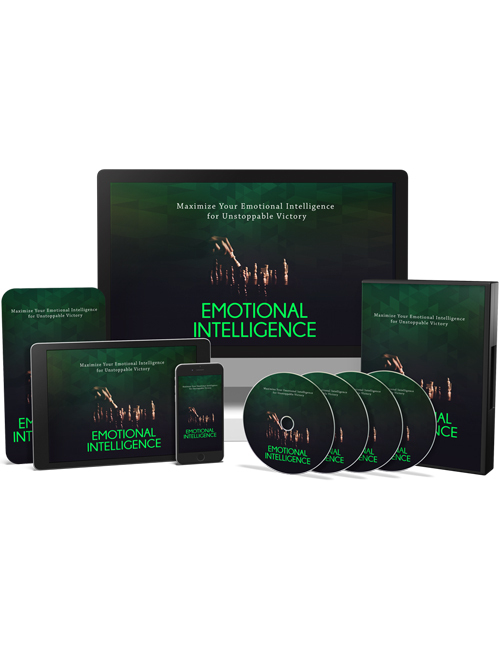 In this extensive video course which complements the Emotional Intelligence ebook, you’ll become familiar with emotional intelligence and how it works in everyday life. You’ll learn how to perceive emotions, use it to your benefit, understand others along with how to communicate more effectively and have more empathy for their needs and worries, and more. These 10 videos go deep into detail from the philosophical side to the real-world. Many times in job interviews, hiring managers use questionnaires to get a good insight into a person’s thinking. Many questions involve emotional intelligence perspective including how you dealt with a real issue in the workplace, how would you handle such and such situation, your strengths and weaknesses, etc. This video course is a real eye opener. Definitely one you want to get a hold of if you are not familiar with emotional intelligence and how it impacts your daily life. Get it now.